Q1: Study source 1. Find another source in this unit that helps to explain the work that this woman is doing. A1: The woman in source 1 is a drawer and is pulling a tub full of coal. Betty Harris describes the work in source 3: "I am a drawer...I have a belt round my waist, and a chain passing between my legs, and I go on my hands and feet". 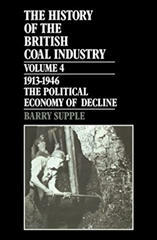 Q2: Select evidence from this unit that suggests that women in the coalmines did not go to school. A2: Betty Harris (source 3) admits that she is illiterate although her "husband can read and write." Elizabeth Day (source 10) points out that she cannot read. She is clearly confused about what she has heard at the local chapel: "Jesus Christ was Adam's son, and they nailed him to a tree; but I don't rightly understand these things". Ann Eggley (source 13) stated: "I have not learnt to read. I don't know my letters. I have never learnt nought". Her understanding of religion was also non-existent: "I never heard of Christ at all. Nobody has ever told me about him, nor have my father and mother ever taught me to pray. I know no prayer; I never pray. I have been taught nothing about such things. Q3: Explain the problems for married women who worked underground in the collieries. A3: Isabel Hogg (source 2) points out that women in mining areas tended to marry early and that for economic reasons had to work while pregnant. This sometimes resulted in miscarriages. Betty Harris (source 3) describes in detail the problems of being pregnant: "I worked at drawing when I was in the family way... I have a belt round my waist, and a chain passing between my legs, and I go on my hands and feet... the belt and chain is worse when we are in the family way." She explains how women are back at work a few days after giving birth." Betty Wardle (source 5) told the Children Employment Commission that she gave birth to a child while working underground and "brought it up the pit-shaft in my skirt". Q4: According to John Wright, what was the impact of women not being employed underground in the collieries? A4: John Wright, who was manager of a colliery in Lasswade argued that men selected their wives with more care. "On the old system men married more from the advantage of the woman's physical strength, than any degree of affection". Q5: Study source 14. Explain what Ivy Pinchbeck was saying. Use the other sources to help you answer this question. A5: Pinchbeck claims that the illustrations of the women working underground had a major impact on those reading the report. "Victorian England was shocked and horrified by accounts of the naked state of some of the workers". Source 4 is an example of one of these illustrations from the report. It shows a young woman pulling a cart of coal who is not wearing a top. Pinchbeck's view is supported by the historian, Eric Hopkins (source 15): "It was also alleged that immorality was rife in some pits. Men sometimes worked quite naked alongside women who were commonly naked from the waist up, so that (it was said) the women became debased and degraded." Q6: Compare the value of the sources in this unit for historians studying the life of women who worked in the coal mines in the 1840s. she was paid because her wages were paid to her father. Women who worked in coalmining areas tended to get married when they were very young (source 6). After the women married they continued to work down the mines. As the cases of Betty Harris (source 3) and Betty Wardle (source 5) illustrate, women worked throughout their pregnancy. When women stopped working down the mines, they tended not to get married until they were 23 or 24 (source 6). The attributes that men looked for in a woman also changed. As John Wright pointed out, when they still worked down the mines, men chose women that were physically strong. This was so that they could pull heavy coal tubs (sources 1 and 4). However, once women were stopped from working down the mines, other qualities, such as personality and physical attractiveness, became more important.